Actually small shrimps / prawns are used but i am using fresh medium sized prawns/shrimp here. 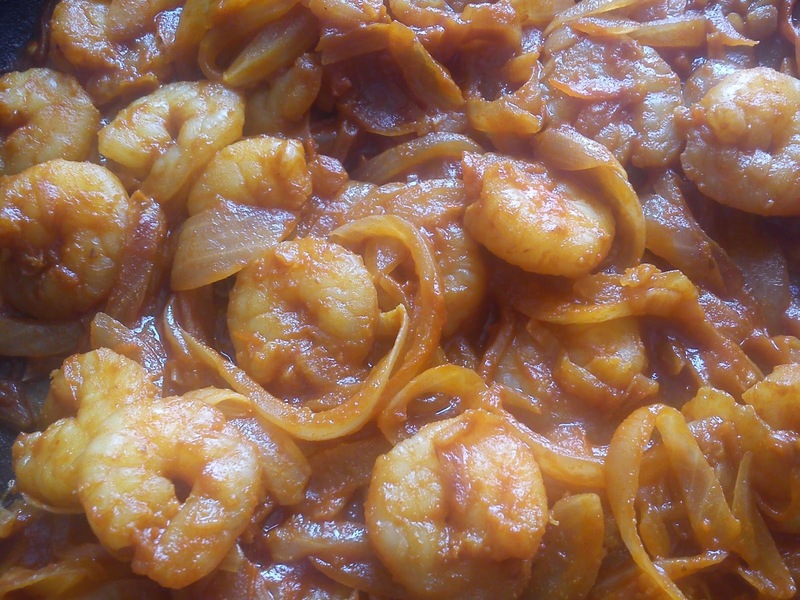 You can also make this with cauliflower and with other small fishes instead of prawns. It is called cauliflower panna upkari. Prawns / Shrimp leaves water while it gets cooked so no need to add water. Can adjust the spicyness and sourness as per your taste. Add Onions and fry them until it changes it's color to light brown. Now add prawns and fry till they turn pink. Add tamarind water/pulp. Close lid and allow it to boil on low flame until prawns are cooked. Add salt in the end and serve hot.